The 2017-2018 MIAA Boys Basketball postseason is underway and the stars are shining brightly in early tournament play. With the postseason starting strong, we take a look at 10 breakout stars who have exploded on the scene and have their teams alive and strong in tournament play. 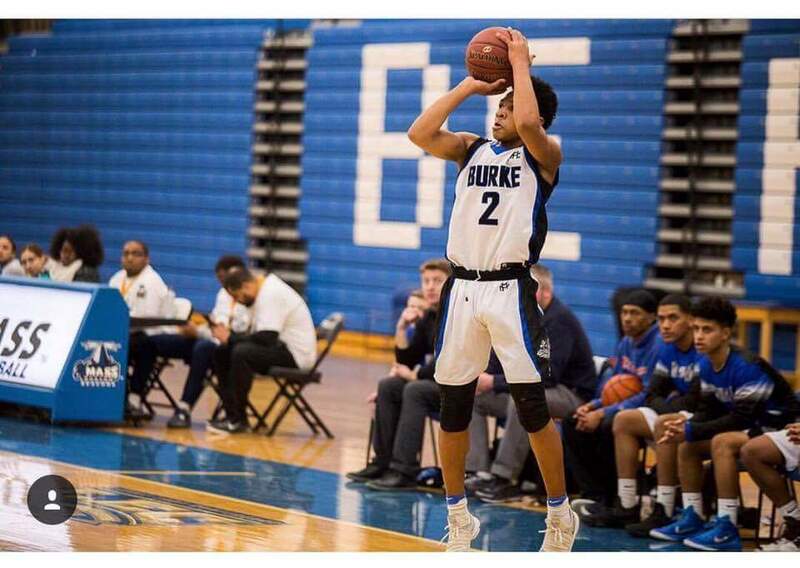 The Jeremiah E. Burke boys basketball school program has been on an upward trajectory the past couple of years and so has star junior LeVar Williams, who has clearly emerged as one of the top shooters in the state while leading the Bulldogs to a 20-2 record this season. The 6-foot-0 Williams led Burke to a 78-62 opening round win over Sandwich last night in D1 South, scoring 34 points in the victory. Williams has made over one-hundred 3-pointers this season, including an eye-popping nine 3-pointers over three-quarters of play, in a January 11th meeting with Boston English. Despite battling double teams, box-and-one coverages, and relentless face guarding, Williams has managed to improve his 15 points per game average as a sophomore to 22-plus points per game this season. Williams is confident that with the Burke's improved play and battle-tested schedule that they have just as good of a chance as any team this time of year. The Hyde Park resident credits Burke coach Sean Ryan for helping him improve on and off the court. Williams works on his craft by going to school early every day to hoist shots. He can rise above the defense and shoot off the dribble from improbable angles, skills that make him a problem for any opponent. “[Williams] has one skill that is unmatched,” said Ryan. “I’ll put him up with anyone as a shooter. He’s still working on that craft, on how to move without the ball and he’s really a basketball junkie. When you see a kid with that much passion, you know he’ll continue to improve. Along with teammate McCarthy Akinkouye, a 6-foot-4 forward senior with ball skills who is also on track towards earning a potential college scholarship, Williams is succeeding both on and off the court. Ryan recognizes the importance of helping these stars succeed in the upcoming conference tournament but asserts that it is even more important to help them succeed in other areas of their lives. The Cardinals have taken a step forward this year, finishing the regular season at 9-9 overall and second to Burke at 4-2 in the BCL East Division. Jones has been a huge part of that improvement, as No. 14 MP defeated Milton last night in their tourney opener and now prepares to take on No. 3 Falmouth on Thursday in D2 South first-round play. The senior guard may have set a new program record with 51 points in an 81-67 win over Snowden on January 19th, netting 31 points in the first half alone. He drained eight 3-pointers and added six rebounds, four assists and five steals to his final stat line. Wilson, who has been coaching at Madison Park for decades, added that Jones is the program’s most talented scorer since Ray Shane Matthews graced the program in 2012. After playing for New Mission as a sophomore and sitting out his junior year, Jones is averaging 25 points and 5 assists per game to lead the Cardinals. Jones is reportedly seeing interest from New England College as well as Fitchburg and Salem State while considering the possibility of applying to Prep schools for a gap year after this season. Wherever he winds up next year, Jones has made a name for himself in the city. The No. 2 seed (D3 South) Spartans (19-1), have been led all season by standout junior Damien Perry. 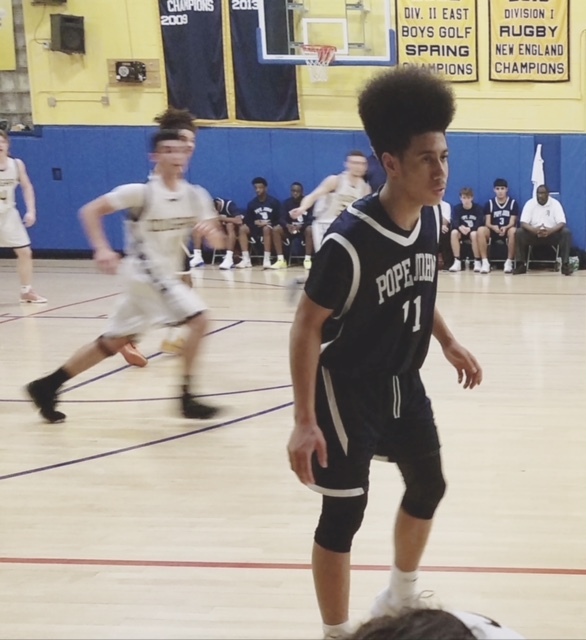 Perry provided his best performance of the season, as he scored a program-record 39 points against Boston Cathedral at the annual BABC Holiday Classic last December. The 5-foot-10-inch point guard, who stars for BABC in the offseason, does it all for Stang, sometimes leading the team in rebounding and frequently directing their fast-paced offense with an ability to score or create for others while attacking the rack. Perry provided 23 points when Stang upset Catholic Memorial, 76-73, in their first game of the season and broke the 1,000-point barrier during a 71-61 win over rival Bishop Feehan on January 8th. Angel Price Espada '19 - G - Pope John - The junior guard leads No. 1 Pope John (19-1) into the D4 North sectional, having earned the Catholic Central League Small Most Valuable Player this season. In a win over Lowell Catholic this season Price Espada dropped an eye-popping 49 points. Dante Rivera ’18 - G - Methuen - When Methuen and Lowell met on Friday, February 9th, all eyes were on Red Raiders star senior Alex Rivera. One of the best pure scorers in the state, the UMass Lowell commit went for 29 points with six three-pointers, but he was nearly matched by another Rivera, a 5-foot-7 senior from Methuen named Dante. After Methuen resident Kevin Fernandez transferred to prep school at the beginning of the season, a lot was placed on Dante's shoulders, along with teammate and fellow returning senior Evan Hardy, and the playmaker has stepped up in a huge way. The lightning-quick point guard burned Lowell’s defense for 26 points to lead Methuen past the highly-ranked Red Raiders, 69-67, clinching a tournament berth in the process. The No. 11 Rangers will rely on Rivera to lead them against No. 6 Central Catholic in D1 North play tonight. Danny Yardemian ’19 - G - Belmont - The Middlesex League All-Star helped lead his squad into the D2 North Quarterfinals on Tuesday, by scoring 35 points in a big win over Charlestown. Yardemian has done it all this season for No. 4 Belmont, as they prepare for quarterfinal play vs. Melrose. Hason Ward '19 - C - Springfield Central - Ward has proven to be one of the state's top defensive players this season, blocking shots left and right, helping to lead No. 1 Springfield Central to a top seed in D1 West. Ward has teamed with senior Jorge Torres to provide one of the state's top 1-2 punches and very difficult match-up for bigs statewide. Khai Smith ’20 - F/C - Cambridge Rindge and Latin - Replacing graduated Player-of-the-Year Dimon Carrigan '17 was never going to be an easy task for the Falcons, but the DCL Large MVP has proven to be a major force in the post, helping lead Cambridge to another DCL Large Title and an 18-2 regular season record. Kyle Henderson '18 - G - Algonquin - Henderson kept his fantastic senior season going, as he scored 23 points in a 20-point win over Acton-Boxboro to begin D1 Central tournament play on Tuesday. Henderson averaged over 20 points a game this season, led by a 41-point effort in a 2-point win over Doherty. Pete Kapanides ’19 - F - Bedford - The DCL Small MVP has been the glue this season for an explosive and talented Bedford (16-5) team. After a 30-point victory over Saugus in the opening round of the D4 North sectional Kapanides and the No. 4 Buccaneers will host No. 5 Whittier on Friday night.